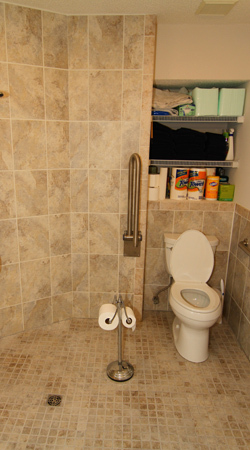 Probably one of the most important rooms in barrier-free living is the bathroom. 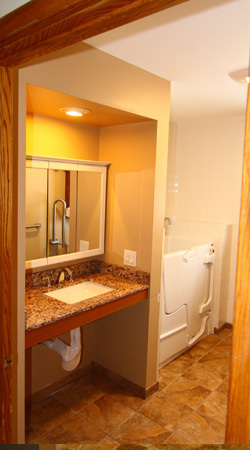 Balancing the need for safety, functionality and design, our team transforms small and larger bathrooms alike into beautifully accessible bathrooms. 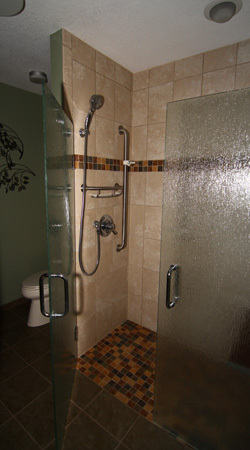 We design with your bathing needs in mind. 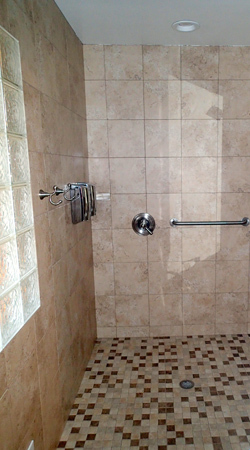 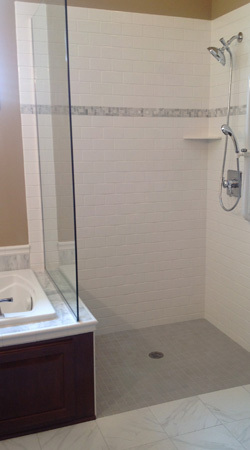 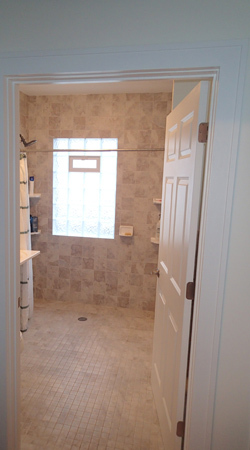 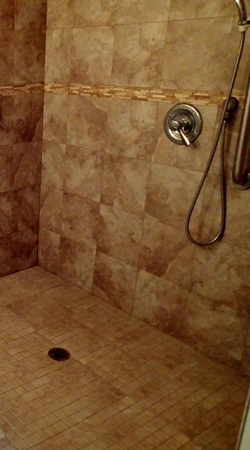 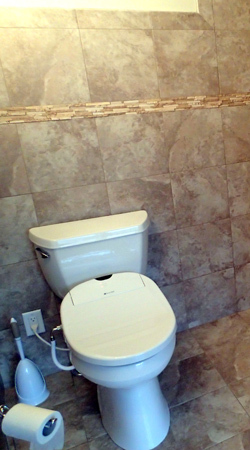 We can install roll-in showers, walk-in tubs, folding shower seats, and safety grab bars throughout. 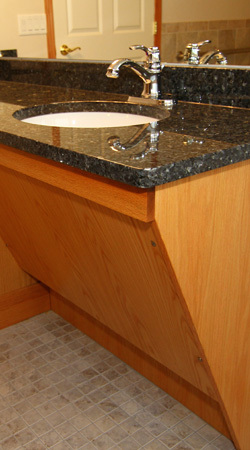 Accessible sinks with enhanced length faucet handles to provide your ease and comfort in daily grooming. 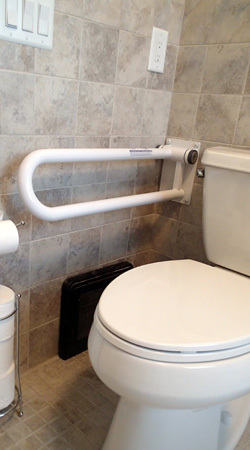 Enhanced height for easier use and safe access. 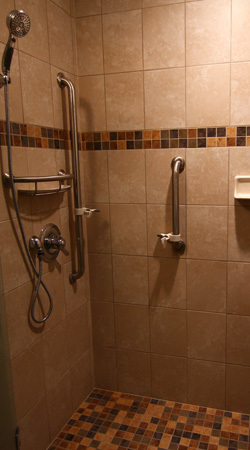 We will install safe and design-friendly overhead lift and tracking systems for assisted travel to/from the bathroom, including those with waterproof hand-held lift controls. 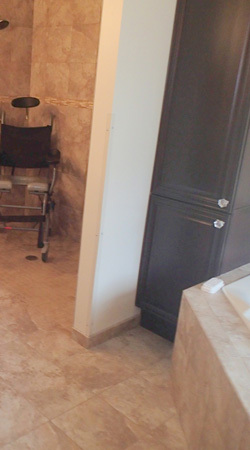 Make your bathroom and other doorways more accessible by providing freedom of movement through a door that is wide enough to accommodate your wheelchair. 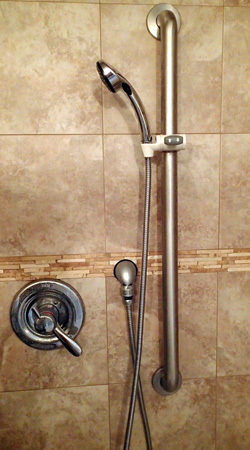 "Thank you so much for helping me make such an easy, positive change in my life"